Great Leadership: After the Talent Review…Now What? The “what do we do next” question is a common one that leadership teams will ask, and most busy executives, especially those in smaller, fast-paced companies don’t have a lot of patience for long lectures and complicated theory. What they want is a checklist – or a menu - something they can get their heads around, start implementing immediately, measure, and start seeing results. That’s how they are used to running their businesses. How about if we give ‘em what they want? Otherwise, they’ll do what most organizations do – spend a lot of time identifying and assessing potential leaders, and then drop the ball on developing those high potentials. 1. Don’t wait to discuss development – do it at the same talent review meeting. Instead of rating everyone on a performance and potential matrix and then leaving the discussion of development needs and actions for a follow-up meeting, as the team is assessing each person, take a few extra minutes to summarize the person’s strengths and development needs and 1-2 high impact development actions (from the list below). Make sure someone (a talent review facilitator, HR) is taking notes, so the development needs and actions can be summarized and distributed to the team as a follow-up. 2. Have a development discussion with each individual that was assessed. While specific performance and potential ratings or “who said what” should never be shared with employees, talent review discussions can be a valuable source of feedback and input into a person’s development plans. The person’s manager can let the employee how they are perceived, and make development recommendations based on that talent review discussion. 3. Conduct formal assessments. Talent reviews are an efficient and effective way to assess employees, but a 360 degree or behavioral assessment will go much deeper and provide more specific and accurate feedback to the employee and can be used for development planning. 4. Provide an assessment “debrief”. Assessments are great, but the value of an assessment is limited without a follow-up session with someone who really understands the assessment and how to change behaviors. 5. Offer executive coaching. 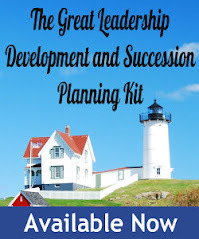 An executive coach can work with each individual (in partnership with their manager) to help them implement their development plans, be a sounding board, overcome obstacles, serve as a reminder, and ensure new behaviors take root. 7. Suggest subject matter experts for the person to work with on specific development needs. 8. Offer to send the person to an executive development program. 9. Create a custom development program for a group of high potentials. Assuming there is a large enough group with common development needs (there usually are), developing a group of high potentials at the same time, together, can be a more cost-effective approach. Action learning programs are often used for high potentials, where they work on real company issues and learn at the same time. 10. Discuss moving to a new role (in order to acquire the skills and experience needed to prepare for next level opportunities). 11. Decide on a “stretch assignment” (challenging project) for the individual. 13. Invite the person to participate in a leadership meeting or event one level above them (for exposure, learning). 14. Suggest a person for the person to “shadow” (subject matter expert, role model, mentor, different business or country, etc…) for a few days. 15. Give each person access to an online training library. 16. Recommend and help the person get involved in a non-profit or Board assignment. 17. Recommend a professional organization to join or a conference to attend. 18. Establish ways for the person to get ongoing feedback. 19. Assign someone to collect and monitor all development plans. 20. Survey each person in 6 months to assess how they feel about the level of development support they are receiving. This post was brought to you by Jobandtalent: “We help you to find the jobs that are right for you."